After litter box issues, aggressive cat behavior is the second most common reason cats end up in shelters or re-homed. If you are dealing with an aggressive cat that attacks people or other cats, don’t take it personally. Aggressive cat behavior doesn’t mean you have a “bad cat”—it means there’s a problem that needs to be corrected. Read our guide to help figure out what’s going on—and how to solve it. You can’t help your aggressive cat unless you understand what’s going on. 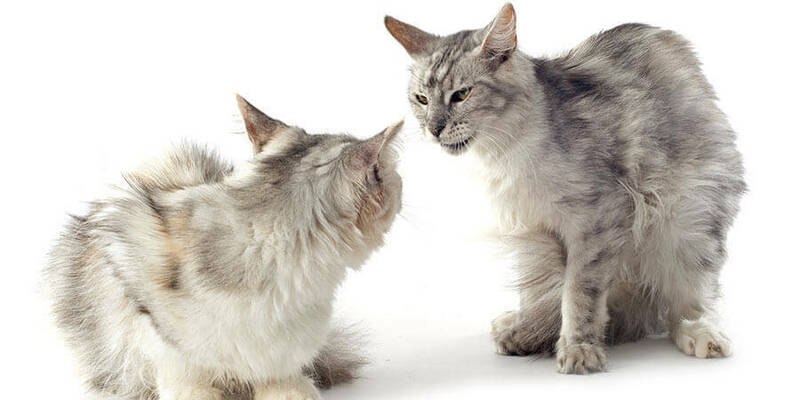 Aggressive cat behavior is a complex issue, and there are several major types of cat aggression. Cats that feel cornered or threatened will often attack as a protective measure. A cat that adopts a defensive posture—hunched back, tail down, ears back—before an attack may be exhibiting this type of aggression. Cats are territorial by nature, and may aggressively defend their territory—especially against other cats, but sometimes against people. If your cat shows other territorial behaviors, such as urine spraying or chin rubbing, or is aggressive only towards specific cats or humans, he or she may be territorial. Cats, and especially kittens, use play as a way to practice and develop their hunting and fighting skills. Aggression during play is normal, but kittens must be taught early not to direct aggressive play against humans. 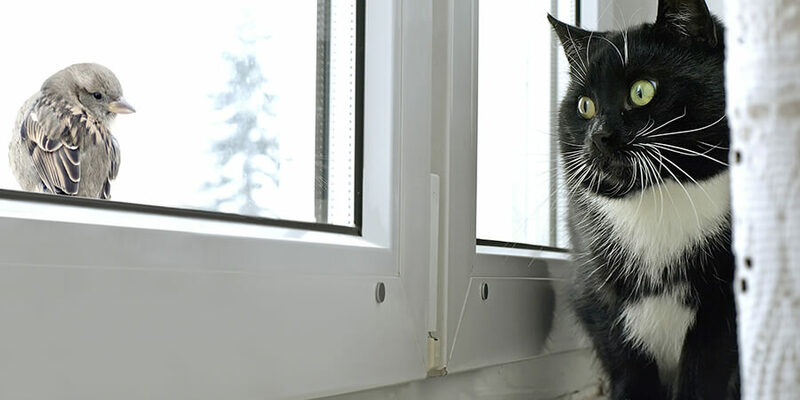 If a cat’s aggressive instincts are triggered by something he or she can’t get at—like a bird or dog outside a closed window—the cat may lash out unprovoked when approached. If your cat attacks unpredictably or “out of the blue” in seemingly peaceful circumstances, you may be experiencing redirected aggression. To learn more about these types of aggression—and to explore other potential causes of aggressive cat behavior—visit the ASPCA website. 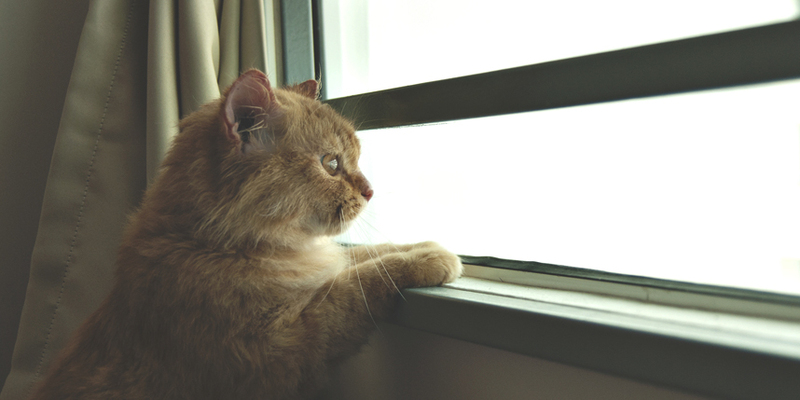 Once you understand why your cat is acting aggressively, take a look at your home environment. Noise, boredom, or too much competition for resources such as food or the litter box can all cause aggression. Make sure you provide plenty of access to calm “escape” spots, playtime, and other resources. 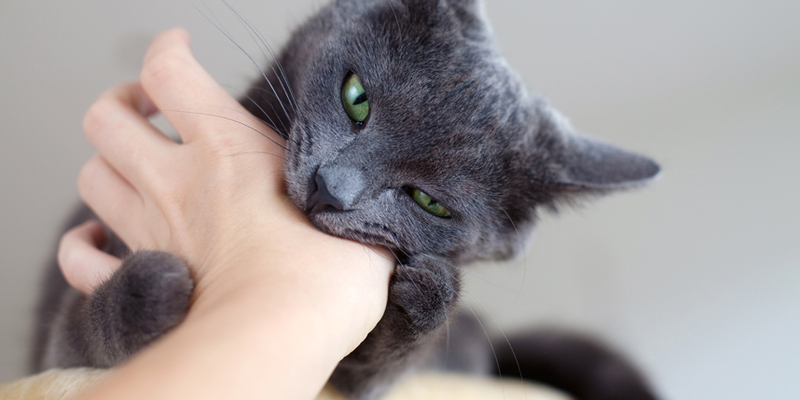 Some types of aggressive cat behavior, such as play aggression, respond well to simple behavior modification techniques. Use deterrents like clapping your hands to interrupt aggressive behavior, followed by ignoring your cat until the behavior stops. Never use physical punishment, even light taps—these can make the problem worse. Offer rewards like affection and treats when your cat is calm. Not every cat will respond to basic behavior modification. If your cat is still acting aggressively, make a visit to the vet to rule out health problems—including pain, which can be a hidden cause of aggression. Some types of aggression can be difficult to address with simple behavior modification—and changing the environment to avoid territorial disputes may not be an option. If your cat continues to be aggressive, and has a clean bill of health, a qualified cat behavior expert can help you get to the heart of the matter and outline your options, including deciding if your cat would be better off in a home with no other cats or children. Dealing with aggressive cat behavior can be very distressing to cat parents. Be patient and persistent, and get help from the professionals if the behavior continues, and you’ll be on your way to a peaceful cat and human household.